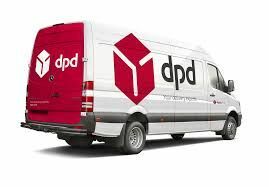 All packages are sent with DPD. Once the package has been processed, you will receive via your e-mail the tracking number. Shipping is at your own risk. The shipping and handling costs within the Netherlands with track and trace amount to € 8.00. Shipping to Belgium is € 12.00. We ship internationally (ask for the possibilities). Larger packages and packages until 20 kilos are sent by DPD and this is included in the price. The extra shipping costs for larger orders will be invoiced afterwards. Domes and skeletons are not shipped. Contact us if you want these items at an additional cost at home. We ship our items as much as possible in used boxes. This to save the environment. Please note that countries outside Europe have different customs rules. Additional costs for export to this countries are not included and will be invoiced afterwards.